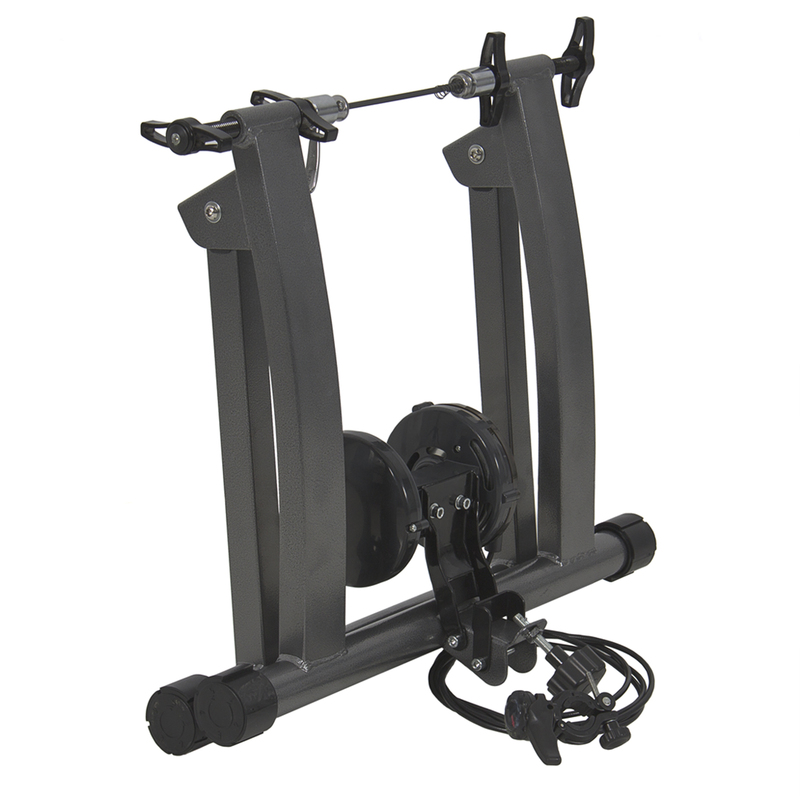 The trainer works with road and mountain bikes with 26", 27", and 700C wheels. It features 5 levels of adjustable magnetic resistance to adjust the intensity of your training. It features high strength, good durability and solid structure with the adoption of top-grade iron material. Wired bicycle stand is more stable than the wireless one. Built with a wide base and low stance for unshakable balance. Stably hold your bicycle and promise safe and comfortable riding to you. The well safe supported frame offers effective indoor training, with little noise. Bicycle practical stand is popularly used for indoor exercises, training and warm-up before match, indoor leisure riding or physical training for long-distance riding.